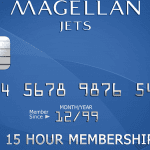 How Do Jet Cards Continue To Rise in Popularity? NetJets is in the midst of what it calls a “jet renewal” that will replace aircraft that have reached the end of their useful lives and leave room for the company to expand its fleet. They announced a 10 year plan to swap out their current fleet- with a total transaction value of $9.6 billion. The schedule for the phase out will start with the oldest aircraft in their fleet first. Up to 425 new aircraft will slowly be phased into their inventory. They are gradually selling aircraft out of the current fleet as they take in deliveries of the new aircraft. Anna Chapman, born February 23, 1982 is an alleged Russian Spy who has been working for the Illegals Program under the SVR, Russian Intelligence. Anna has been called a “Modern Day Bond Girl”, due to her good looks, red hair and green eyes. It seems like her Russian Spy role came out of a recent espionage movie. It has been reported that this Russian Spy has recently worked for NetJets, formerly the largest executive jet aviation company in the world. Fractional aircraft provider NetJets’ second-quarter revenues fell 43 percent year-over-year to $550 million, and for the first half dropped $1.024 billion–or 42 percent–from the same six-month period last year. According to parent company Berkshire Hathaway, NetJets’ declines reflected an 81-percent dive in aircraft sales and a 22-percent reduction in flight operations revenues “primarily due to lower flight revenue hours. NetJets reported pre-tax losses of $253 million for the second quarter and $349 million for the first six months, compared with gains of $192 million and $255 million, respectively, in the same time frames last year. Further, Berkshire said that NetJets owns more airplanes than it requires for its present level of operations “and further downsizing will be required unless demand rebounds. NetJets founder and now former chairman and CEO Richard Santulli left the company last Tuesday, just three days before Berkshire released its second-quarter results.